In the following video, we look back at the captain’s final days at the Club: The last trip, the homage on Friday, the last training session at the Ciutat Esportiva and the last match at the Camp Nou... Don’t miss it! 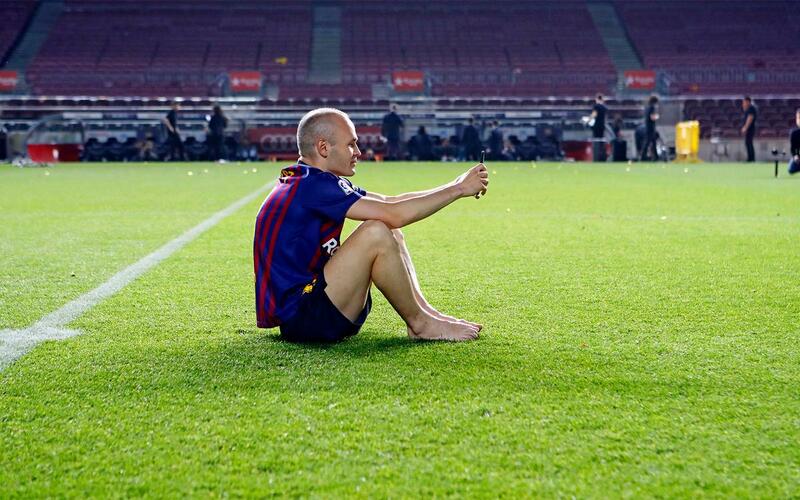 Last Sunday, Andrés Iniesta played his last match at the Camp Nou with the FC Barcelona first team. After 22 seasons at the Club and 16 years in the senior side - in which he played a total of 674 matches and scored 57 goals -, the Barça captain said goodbye to the Stadium and fans after Barça’s win against Real Sociedad (1-0). Iniesta’s name was chanted throughout the game and the entire Stadium rose as one to acclaim him when he left the pitch for the last time. After the match, he was given a special tribute, which included his team-mates making a guard of honour whilst all wearing his No.8 shirt. In the following video, we take a look at Iniesta’s final week at the Club from the inside. His last game, the trip to South Africa to play the friendly for the centenary of Nelson Mandela's birth, his last training session at the Ciutat Esportiva, the tribute on Friday at the Camp Nou with many special guests... All this and much more, in a video not to be missed!